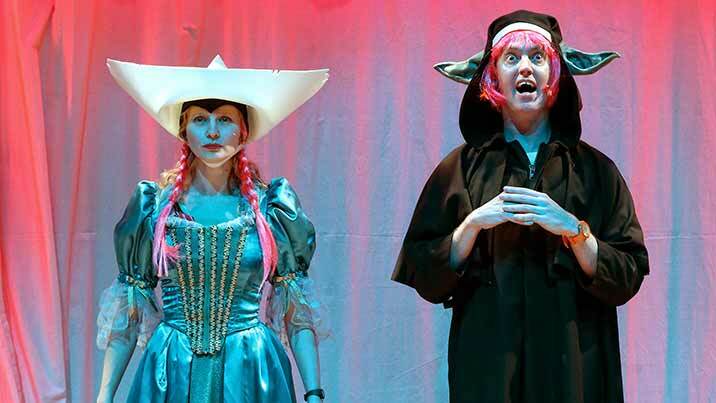 A hilarious, irreverent, interactive show for children and their adults by cult kids outfit The Listies. On during the school holidays! Event closed. Returning in 2018! More info. An hour-long comedy bomb of Shakespeare plus ninjas. And zombies. 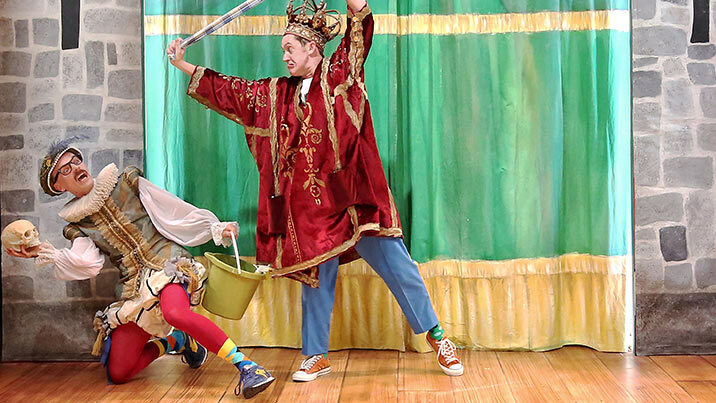 The Listies are the maestros of children’s theatre. 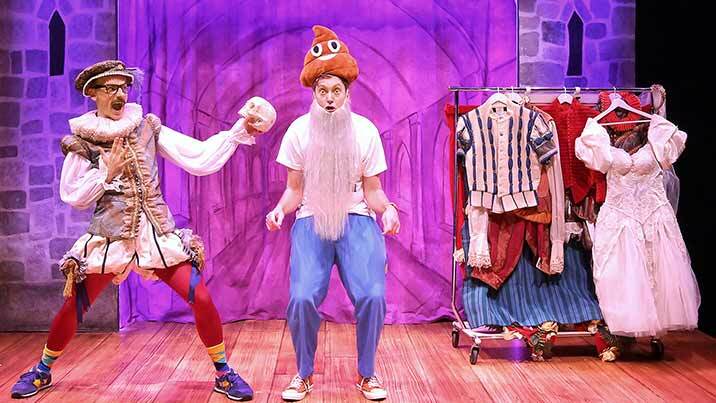 Their tremendous storytelling, comedic genius and infectious imaginations make kids all over the world fall in love with theatre while howling with laughter. 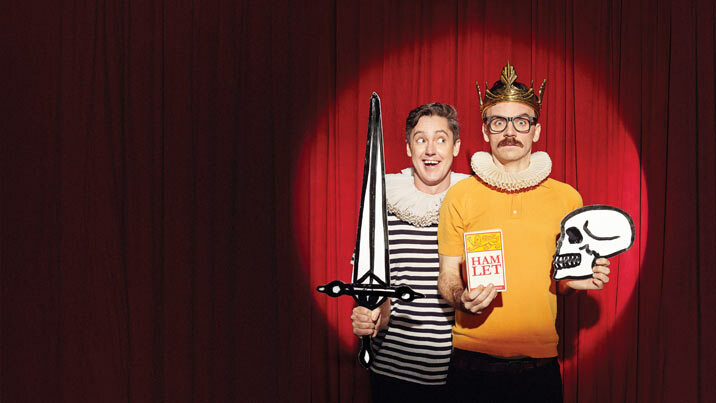 Now, they have created a new, very cheeky, interactive version of Hamlet for children. This comic adventure shatters the fourth wall and glues it back together with turbo-charged story-telling and silliness. Hamlet is full of thrilling things that kids love in a good story: ghosts, castles, sword fights, fake blood and spooky stuff. 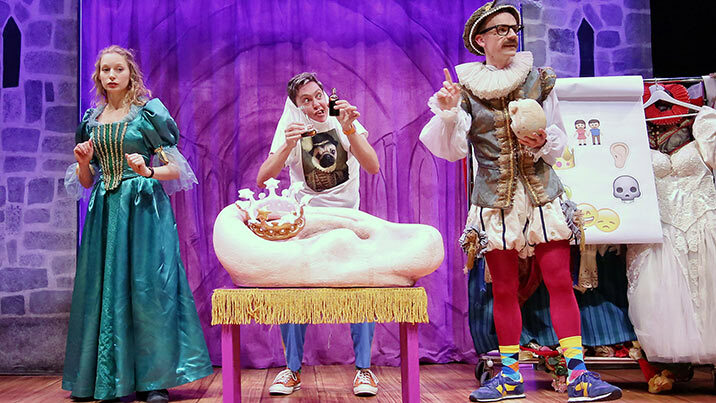 Enter super-sonic gags, expertly timed stage trickery and special effects unlike anything kids have seen before and you have a very cleverly disguised Shakespearean tragedy for everyone aged five and over. And that’s not all… expect bonus pillow fights, pirates, ninjas, ninja pirates, aliens, ninja pirate aliens, zombies and a bunch of other hilarious stuff as The Listies take kids and their adults on a fun-filled hour of mayhem that mischievously celebrates the excitement and unpredictable nature of live theatre. 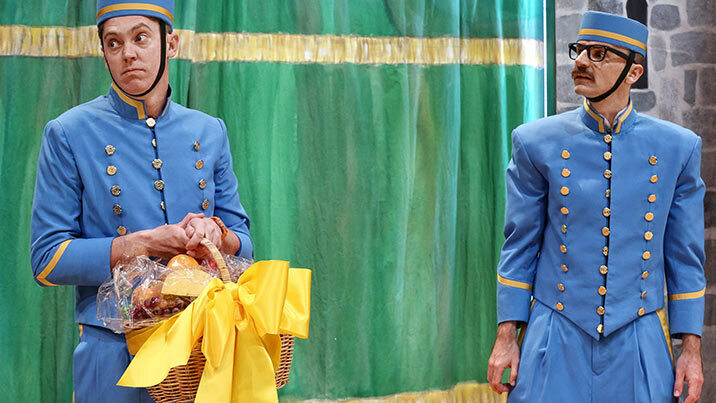 The only thing we can be sure of is that everyone dies at the end – including the audience! Pick six or more plays to create a personalised Season Ticket package. More info. Suitable and valid identification must be provided for collection of tickets and at the venue, such as your concession or proof of age card. 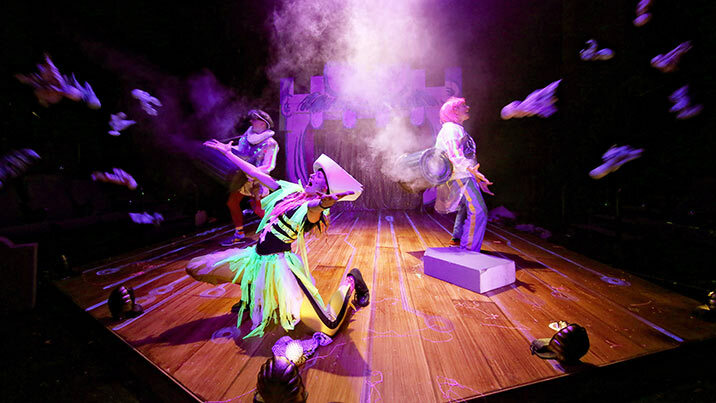 Alternatively, you may email a copy of your identification to boxoffice@sydneytheatre.com.au. Please quote your booking reference number. For specific access requirements, please call Box Office on (02) 9250 1777 to book your seats. Find out more about our Schools Days. From 4 Oct 2015, all travel into the Sydney CBD will be affected by construction works for a light-rail line along George Street. These changes affect car and bus routes. It is important to plan ahead and allow additional travel time. Please visit mysydney.nsw.gov.au for more information and consider using journey planning apps on your smartphone or tablet devices. Hamlet: Prince of Skidmark is returning in 2018!